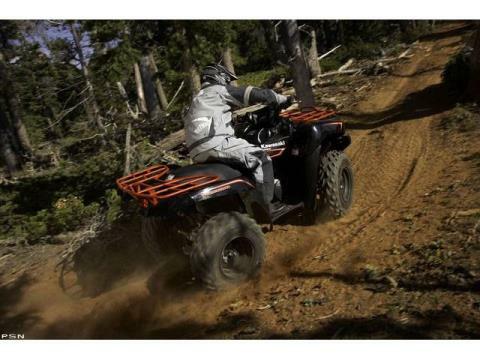 A strong, tough and able ATV in a practical package. 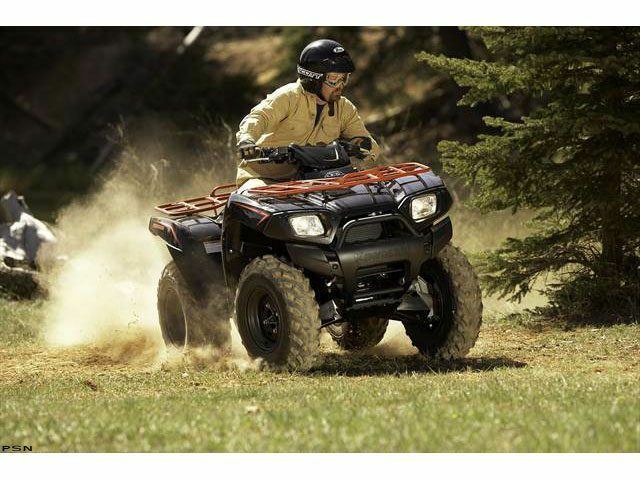 This category offers enthusiasts some nice big-bore all-terrain vehicles (ATVs) with single-cylinder engines and four-wheel drive, but the Brute Force® 650 4x4 offers just a little bit more. It comes with Kawasaki’s legendary V-twin engine, a proven 4x4 system and rugged angular looks — and does it for about the same price. 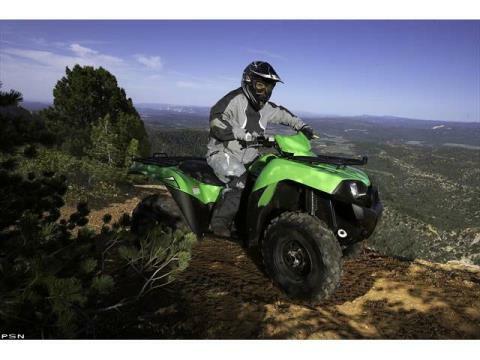 Powering the Brute Force 650 4x4 is Kawasaki’s highly praised liquid-cooled 633-cubic-centimeter, 90-degree V-twin engine with single overhead cams and four valves per cylinder. It is fed by dual 32-millimeter Keihin carburetors that draw fresh air from a snorkel intake located high in the frame near the steering head. These powerplant features add up to provide the rider with industry-leading torque and smooth-running operation unmatched by the competition. From the V-twin engine, power flows through Kawasaki’s much-acclaimed fully automatic continuously variable transmission (CVT). 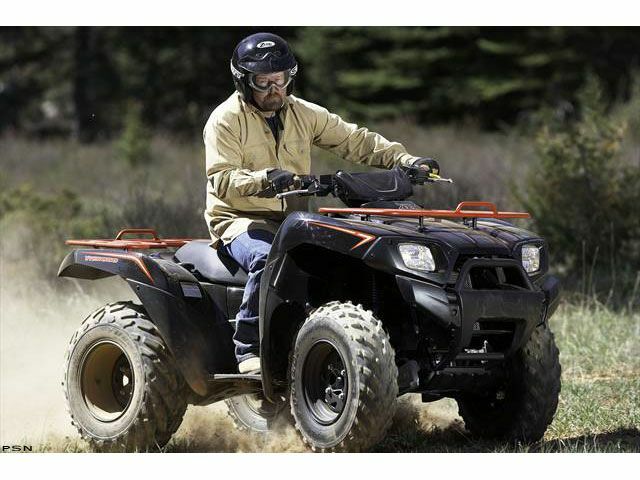 With low and high forward, neutral and reverse gears, this dependable transmission functions seamlessly, providing excellent control for both low- and high-speed work or recreational riding. 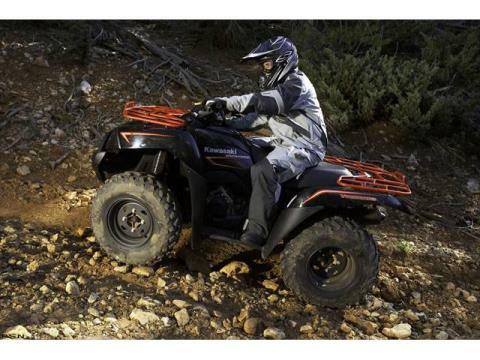 Plus, the Brute Force 650 4x4 can also be started in any gear when the brakes are applied. Complementing the CVT is a switch on the right handle bar that permits the rider to switch between two-wheel and four-wheel drive operation, and power is delivered to the wheels via dependable, low-maintenance shaft drive. 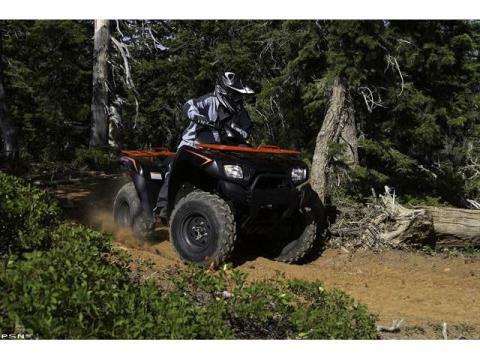 In normal four-wheel drive mode, the front wheels provide extra traction for adverse terrain, while the limited-slip differential allows the rider to make tight turns and reduces steering effort. 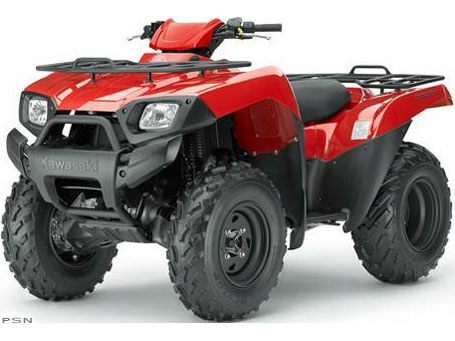 Best of all, the Brute Force 650 4x4 includes Kawasaki’s Variable Front Differential Control, a favorite feature often praised by editors of the leading ATV magazines. By pulling a small lever on the left handlebar, the rider can deliver equal amounts of power to both front wheels, a definite advantage for riders encountering deep mud and slippery uphill trails or when traversing over large objects such as logs or rocks. 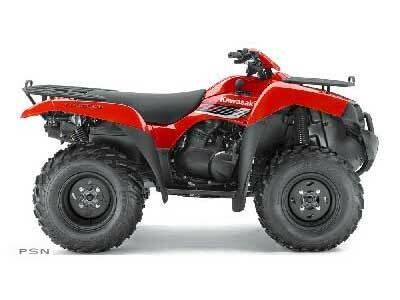 The Brute Force 650 4x4 braking system is another example of cutting-edge Kawasaki design. Dual front disc brakes with dual-piston calipers are matched to Kawasaki’s sealed, oil-bathed, multi-disc rear brake system. As an integrated part of the shaft drive, the rear braking system is sealed in the aluminum swingarm where it operates in an oil bath. This protects the brake pads from mud, dust and debris, and is virtually maintenance-free. Plush and controlled rides are the Kawasaki 4x4 ATVs’ forte and the Brute Force 650 4x4 exemplifies this tradition. It does this with MacPherson strut suspension with 6.7-inches of travel up front and an aluminum swingarm featuring a preload adjustable shock with a piggy-back reservoir and 7.2-inches of travel handles the rear suspension duties. Additional comfort is provided by a large saddle and adjustable footpegs mounted atop full-size floorboards. To help reduce unsprung weight and further enhance the smooth ride, the Brute Force rolls on aluminum wheels. With its modern, aggressively angled lines complemented by cat-eye headlights, the bodywork is made from Thermo-Plastic Olefin, which has an ultra-high gloss appearance and is scratch-resistant. Other features include front and rear steel racks that can carry a total of 264-pounds of cargo, and a tow hitch so it can tow up to 1,250-pounds. Kawasaki engineers also provided space inside the front guard so it can accommodate a 3000-pound capacity winch from Warn or Superwinch. The Brute Force 650 4x4 comes with fully digital instrumentation, including speedometer, odometer, dual resetable trip meters, clock, hour meter, fuel gauge and 2x4 / 4x4 indicators. There is also a DC power outlet to provide quick and easy power for electrical accessories. 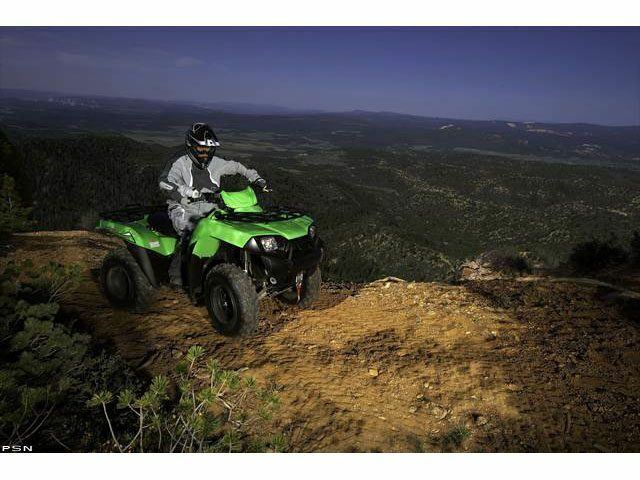 As with all off-highway vehicle recreation, Kawasaki encourages ATV riders to ride responsibly and to respect the environment. 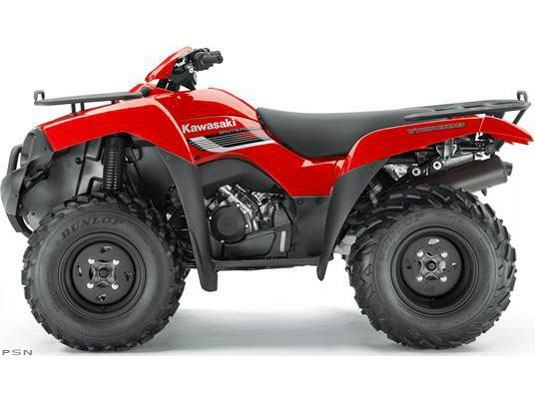 Kawasaki will pay first-time buyers of a new Kawasaki ATV 100 dollars for completing an ATV rider safety course conducted by the ATV Safety Institute (ASI). Interested consumers can call ASI toll-free at 800-887-2887. Center of Chassis: 9 in. Rear Axle: 7.3 in.